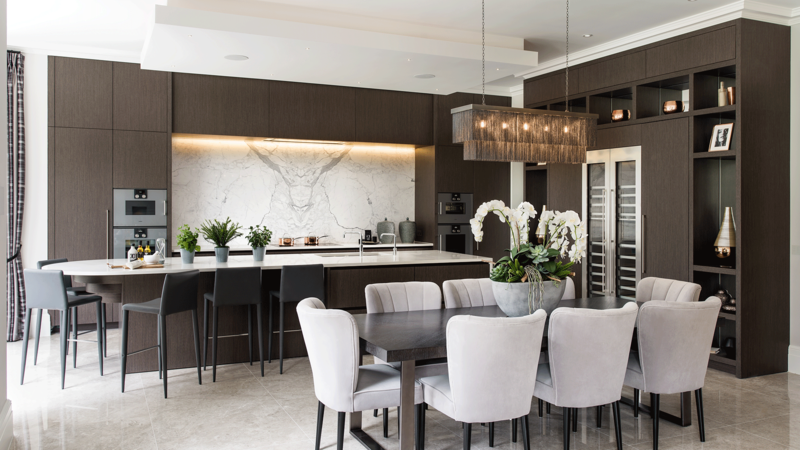 This luxury kitchen design was created for a newly built home in Surrey. The design captures the individuality of the property, drawing inspiration from the architecture and interior scheme. 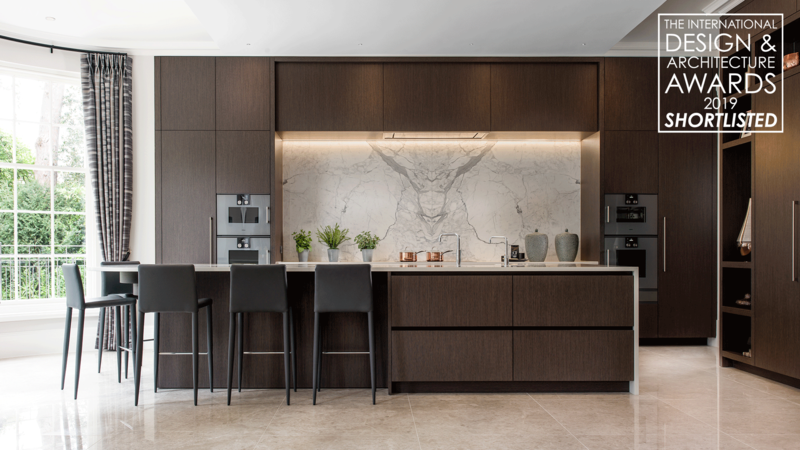 As the property was a speculative build, the brief from the Property Developer was to create an elegant and refined environment that exudes contemporary luxury and offers value to the future owners of this beautiful home. 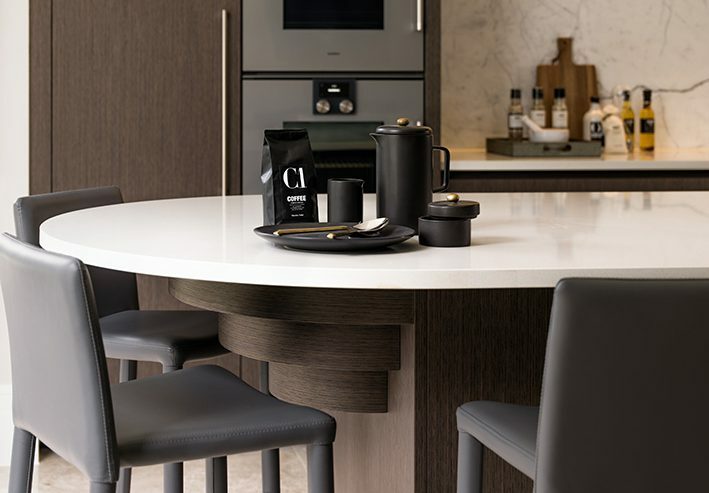 The neutral colour palette features a tactile individual timber veneer with vertical grain, combined with complimentary marble and quartz in grey tones. These pairings creating a contemporary yet timeless aesthetic with strong visual impact whilst maintaining high appeal. The design of the breakfast bar support acts as a subtle nod to architectural details within the property. The curves reflect the adjacent bay window, whilst the the stepping detail mirrors a similar detail present in the joinery and architecture throughout the home. It was very clear from the Developer how the future owners of this home would use the room and there were to be clear distinctions between the different zones in this open plan kitchen, dining and living space. 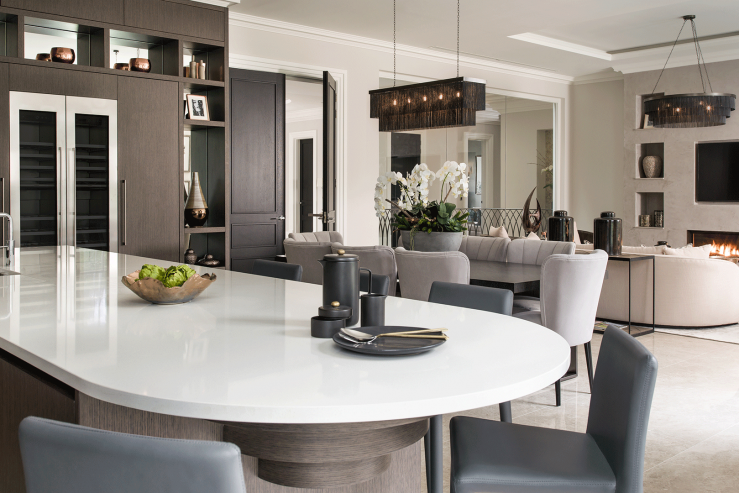 The open shelving bridges the distance between the kitchen and lounge area, bringing the two zones together, whilst the large dining table and pendant lighting by the Interior Designer create a feeling of a dedicated dining space. 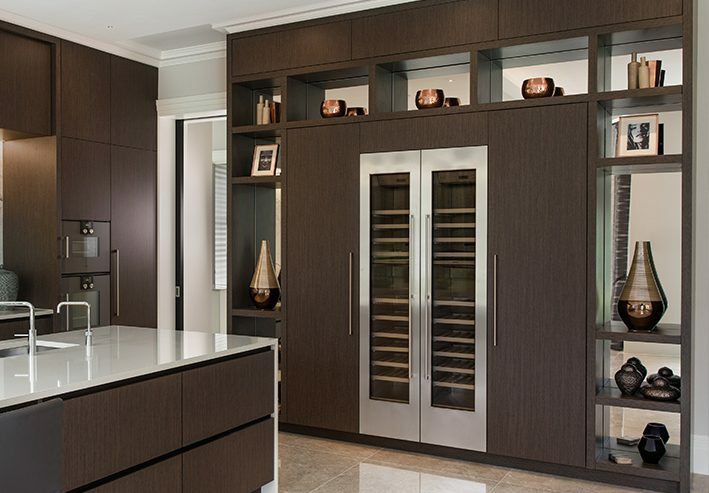 With direct access to the secondary kitchen, we were able to make the main kitchen a more visual space and design the cabinetry around the wine refrigeration as a piece of furniture, giving the owners an opportunity to decorate the shelving and personalise the space in their own way. The mirror backing to each shelf reflects light and opens up the space. 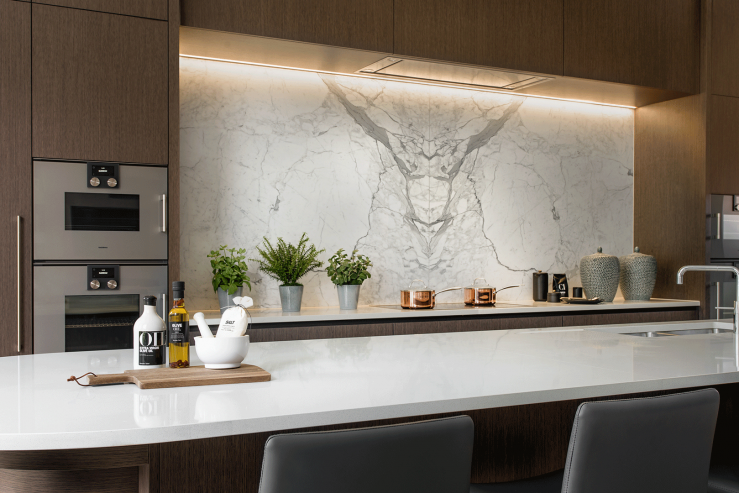 The book-matched marble acts as a beautiful backdrop piece with the appearance of a piece of art, this is enhanced by the stepped back cabinetry around the hob area which further frames this detail. 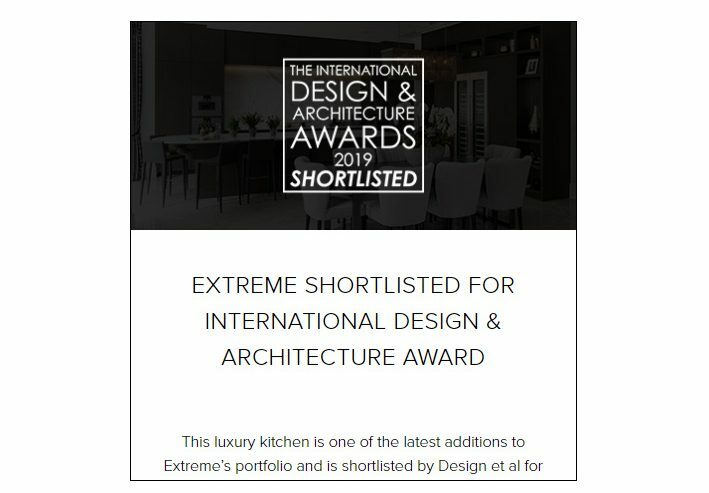 Along with the main kitchen, Extreme carried out the design and installation of the prep-kitchen on the ground floor, and the staff kitchen and laundry on the lower ground floor. 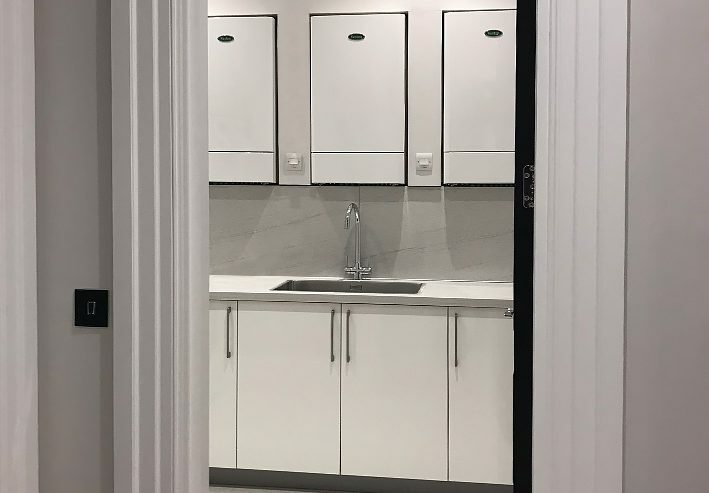 These areas are designed with practicality at the forefront of the design, the materials are low maintenace and highly durable to suit these busy, high traffic spaces. To find out more about the brief for this project, you can read our full design entry on our Journal.